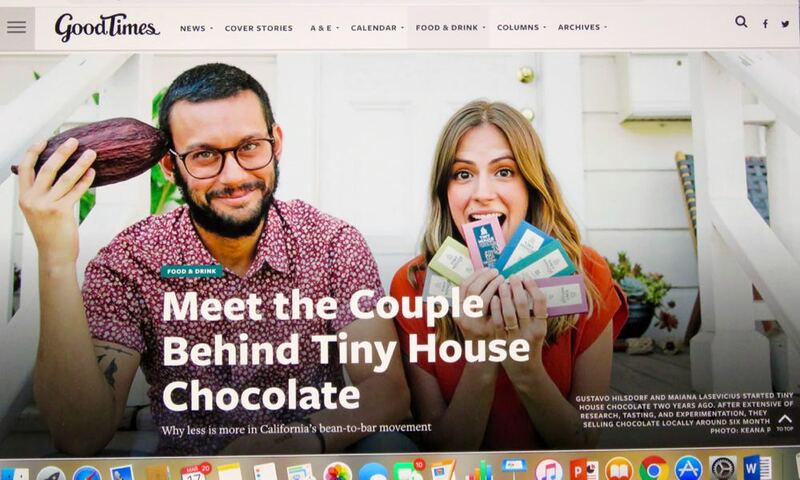 Welcome to Day #7 of Chocolate and India Theme Week. 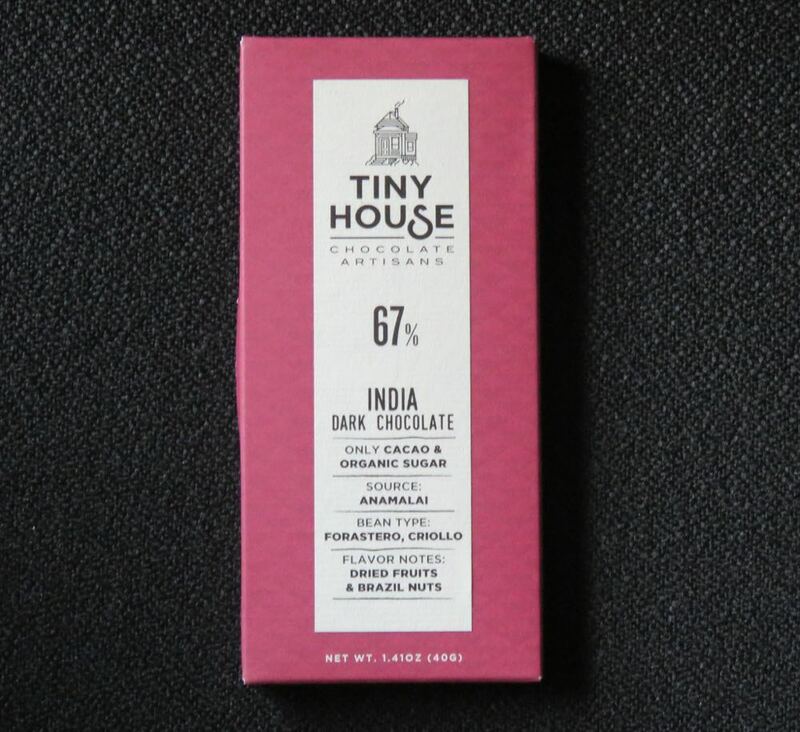 Today's 67% Anamalai India Chocolate Artisans bar was from Tiny House Chocolate Artisans (Santa Cruz, CA). The duo roast and grind cacao beans from multiple origins around the globe and sell two-ingredient (cocoa beans and sugar) single bars as well as bars with carefully selected inclusions. (Look for a write-up on their Sarsaparilla bar in a few weeks.) Today's bar was made from Forastero and Criollo cacao beans grown in the Anamalai area of Southern India. 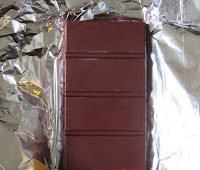 This bar had an aroma with light green, fruit and faint spice notes, and a creamy, smooth melt, texture and finish. 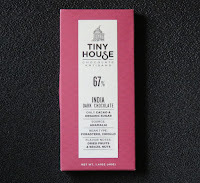 The 67% bar was similar in flavor profile to other Anamalai bars featured this week (all were well-executed and balanced) only with a tiny bit more fruit acidity (which some will like) that was perhaps highlighted by a tad more sugar than the other bars. Although it certainly was balanced and did not taste too sweet. Makers tasting notes listed on the packaging read: "Dried fruits and Brazil nuts."